01. "A Chip Off the Old Block"
02. "The Beauty of the Game"
04. "The Season of Fate"
08. "In the Eye of the Beholder"
09. "A Fistful of Stances"
13. "The Mysteries of Love"
17. "A Pillow Case of Mystery II"
18. "Beauty Knows No Pain"
20. "Can't Buy Me Love"
22. "Every Move You Make"
-Come to think about it, Wow... I didn't see quite a few series or I just never finished. It was kinda hard for me to choose. Lol. This List will be Altered after I finish up some series I had listed before. And for the Best Series I only chose two cause I still need to finish. ;] Best of Luck to all!! 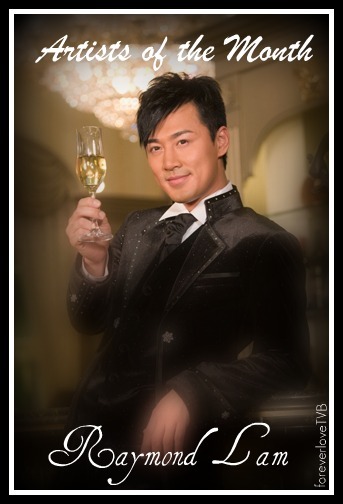 This month artist of the month, I chose Raymond Lam. Raymond Lam Fung is born on December 8th 1979. Enter TVB 13th Acting Class in 1998 along side with Tavia Yeung and others. Fung's birth name is Lam Wui Man 林匯文. After graduating from the class, Ray appear on series and talk host shows. But in series he is mostly walk on or background people. In 2000 Ray earned a more screen time and gained more attention after playing supporting roles in A Taste of Love and A Step in the Past. In 2002 Raymond played his first leading role in Eternal Happiness along side with Michelle Yip. Also was nominated for Most Improved Actor for his role in Survival Law. In Survival Law, Fung acted as along side with Sammul Chan, Myolie Wu, and Bernice Liu. Other than acting, Fung also singed on to the singer career in 2007 and had released 4 albums. Ever since his entrance into the entertainment industry, Fung strive to work his best. Ever since 2002 Fung was nominated each year. Fung had received at least 80 awards. During the TVB Awards night, Fung had received three awards. Most Improved, My Favorite Character for Moonlight Resonance in 2008 and in Twins of Brothers in 2004. This year, Ray is nominated for Best Actor for his role in Mysteries of Love. Best of Luck! Other than that, Ray had filmed 28 series. His recent work is An Uninvited Date and The Colorful of Sister Fa and a mainland production Ad Mania.Good Luck Raymond and I'll be looking forward for your new series. ;] Best of luck to you!! 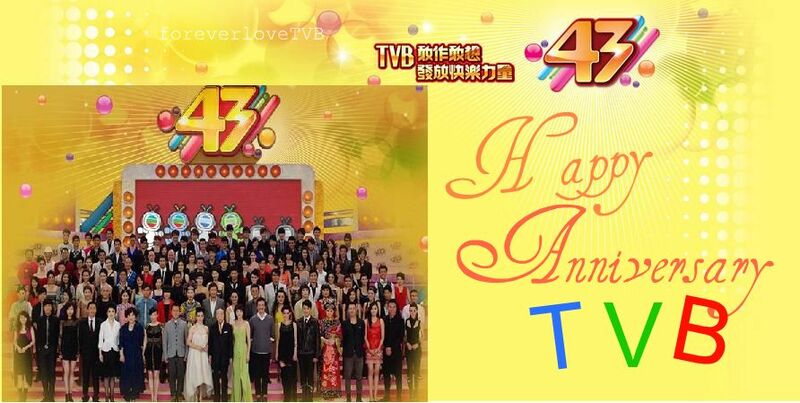 11/19 - TVB 43rd Anniversary! For the past couples days... I was watching Every Move You Make and I finished it. The series was alright and I'll have a review up pretty soon and hopefully this time I will have the time to post it. 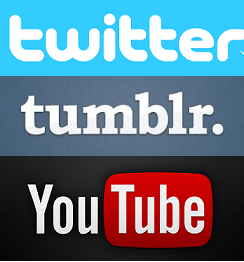 I won't drag it (hopefully ><). Well anyways, as I was watching from the first episode, two person had caught my eyes. Not just only my eyes but also my heart and my brain. I couldn't believe how incredibly cute they were and obviously I couldn't Resist it!! They were just Incredibly, Insanely, and Just Amazingly Adorable and Cute!!! They were Loretta Chow and Chris Lai Lok Yi. There is like a scene where Bowie ask Bosco if Loretta ever flip her hair at him. He was like..umm, maybe I never notice. And Chris was like I have, she always does that when we are together. Bowie explains the movement and they both blushes. The part where they were having a BBQ day and Loretta bought her girls friends and she introduce them to Bosco and ah Ming (Sorry I don't really know his real name). But she didn't introduce them to Chris. She was like oh don't spend your time on that guy with the brown vest. He won't be interest it. Like Bowie was talking about elevator distances. When Loretta was carrying all those books and was waiting for the elevator. When the elevator arrived, she immediately step inside and goes right next to Chris instead of Madam Yin, Yiu Sir, and Bosco. Cause she is closer to Chris and felt more comfortable with him. And the scene where they all went to the pub. Chris went off and look around for girls and Loretta got jealous. She kept sipping her cup. Bowie looked at her and he hinted/ said they "You look prettier than her." There are Many cute scenes between them, especially episode 17,18,19. Chris started to realized he liked her. Loretta stand up for him at the hospital and try every way to have him stay in CID and Bowie was just playing around with him saying that he have to leave. But the part where he broke up with his rich girlfriend at the canteen, when he turned around and saw Loretta there, his eyes/expression showed that he didn't want Loretta seeing him in that state and was upset that Loretta was there. I think that he had always liked Loretta but never shows it and he always think about rich girls so he never realized that he like Loretta and stuff. Wow this is such a long post!! Sorry >< I just got carried away =] hahaah. Just sooo Adorable!! xD Hehe I think they do look Cute together!! and kinda "match"? Lols. Oh and did I mention? I love her Bow necklace =] I kept staring at it during the series. Lol. Cast: Michael Miu, Felix Wong, Jessica Hester Hsuan, Nancy Wu, Wong Ho Shun, Grace Wong, Chan Sau Chu, Leung Lit Wai, etc. When a cop expresses his grievance and anger onto the world, he becomes the most dangerous man on the force. Taken from the top ten famous unsolved cases in Hong Kong, Gun Metal Grey depicts a cop’s road to destruction as well as the very truth of human nature. Fifteen years ago, upright police officer SHEK TUNG SING (Felix Wong Yat Wa) was falsely accused of murder and sentenced to prison. Now that he has been discharged, he decides to get to the bottom of the case. Unfortunately, he is unable to bring the culprit to justice because of lack of evidence. As a result, his suppressed anger continues to churn within him and whenever the law fails to carry out justice, he takes matters into his own hand. The sudden change in his character and behavior places his friendship with his teammate MAI ON DING (Michael Miu Kiu Wai) to the test. Later, when he is trying to prevent DING from looking further into the case, he even hurts DING’s girlfriend, HUI MAN HIM (Jessica Hester Hsuan). The competition begins to intensify between the two good friends when DING is determined to deal with SING according to the law.